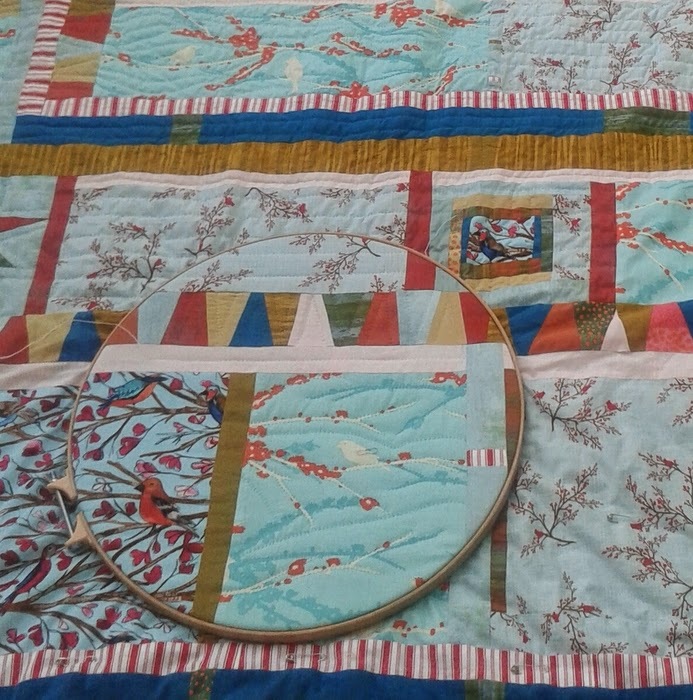 This is a peek at Annie's quilt, which is soooo close to being done, just quilting the outermost border and binding it. Maybe a week away, if I work hard. Mind you, I always underestimate how long the very last bits take! Your so close to finishing! I admire anyone who hand quilts! Good work! Sooooo beautiful!! I'm handquilting and it takes such patience for me!!! Which is good for us, right? Enjoy!!! Pretty stitches. I love to hand quilt but have not in quite awhile. It's beautiful. Love the colours. Thank you - and thanks for pointing out the no reply error. Thank you - I love the look of machine quilting on other people's quilts but haven't yet felt the urge to do it myself. The more I do it, the more I enjoy it, though I do have callouses on my fingers now. Thanks for coming by to look.